Habitat III was the United Nations Conference on Housing and Sustainable Urban Development. It took place in Quito, Ecuador, from the 17th to the 20th of October 2016. In Resolution 66/207 and in line with the bi-decennial cycle (1976, 1996, and 2016), the United Nations General Assembly decided to convene the Habitat III Conference to reinvigorate the global commitment to sustainable urbanization, to focus on the implementation of a New Urban Agenda, building on the Habitat Agenda of Istanbul in 1996. Member States of the General Assembly, in Resolution 67/216 , decided that the objectives of the Conference were to secure renewed political commitment for sustainable urban development, assess accomplishments to date, address poverty, and identify and address new and emerging challenges. The conference resulted in the New urban Agenda—a concise, focused, forward-looking and action-oriented outcome document. On 22 December 2015 the United Nations General Assembly, on its seventieth session, adopted the resolution on the ‘Implementation of the outcome of the United Nations Conference on Human Settlements (Habitat II) and strengthening of the United Nations Human Settlements Programme (UN-Habitat)’ (A/70/210) , which refers to the United Nations Conference on Housing and Sustainable Urban Development (Habitat III) Conference modalities. The approved rules of procedure for Habitat III recognises the participation of the representatives of local authorities accredited to the Conference in rule 64, as it happened in Habitat II in 1996. Habitat III was the first United Nations global summit after the adoption of the 2030 Agenda for Sustainable Development and the Sustainable Development Goals. It offered a unique opportunity to discuss the important challenge of how cities, towns, and villages are planned and managed in order to fulfill their role as drivers of sustainable development and, hence, shape the implementation of new global development and climate change goals. The United Nations General Assembly convened the Habitat I Conference in Vancouver in 1976, as governments began to recognize the need for sustainable human settlements and the consequences of rapid urbanization, especially in the developing world. At that time, urbanization and its impacts were barely considered by the international community, but the world was starting to witness the greatest and fastest migration in history of people into cities and towns, as well as rising urban population through natural growth resulting from advances in medicine. The Vancouver commitments were reconfirmed twenty years later at the Habitat II conference in Istanbul. World leaders adopted the Habitat Agenda as a global plan of action for adequate shelter for all, with the notion of sustainable human settlements driving development in an urbanizing world. 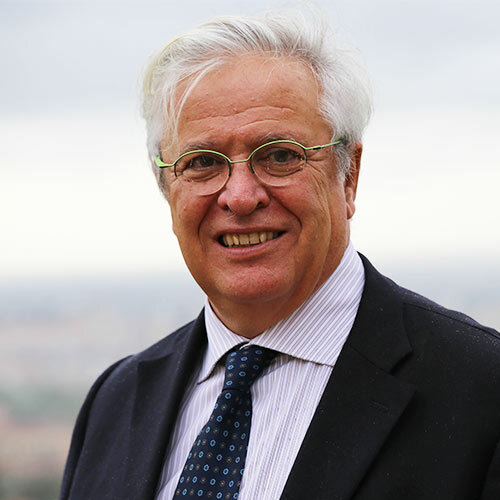 Dr. Joan Clos is the Secretary-General of the Habitat III Conference. He is also the Executive Director of UN-Habitat, at the level of Under Secretary General of the United Nations since October 2010. Born in Barcelona on 29 June 1949, he is a medical doctor with a distinguished career in public service and diplomacy. He is also a medicine graduate from the Universidad Autónoma de Barcelona (UAB), and specialized in Public Health and Epidemiology at the University of Edinburgh (Scotland) before joining the Barcelona Municipal Government as the Director of Public Health in 1979. Dr. Clos was elected twice as Mayor of Barcelona, serving two terms from 1997 to 2006 after being city councillor between 1983 and 1987 and the Deputy Mayor in charge of finance and budgeting, where he played a key role in preparations of the 1992 Olympic Games in Barcelona. Dr. Clos has received several awards, including a gold medal from the Royal Institute of British Architects in 1999 for transforming Barcelona, and in 2002 won the UN-Habitat Scroll of Honour Award for encouraging global cooperation between local authorities and the United Nations. At the international level, Dr. Clos was elected President of Metropolis, the international network of cities, in 1998. Two years later, he was elected President of the World Association of Cities and Local Authorities (WACLAC). Between 2000 and 2007, he served as the Chairman of the United Nations Advisory Committee of Local Authorities (UNACLA). And between 1997 and 2003, he was member of the Council of European Municipalities and Regions (CEMR). Prior to joining the United Nations, Dr. Clos was Minister of Industry, Tourism, and Trade of Spain between 2006 and 2008 and served as the Spanish Ambassador to Turkey and Azerbaijan. Quito, the capital of Ecuador, is 2,800 meters (9,200 feet) above sea level in the province of Pichincha. It is the second largest city in the country after Guayaquil with a population of 2.6 million people, and one of the highest capitals in the world. It has the largest and best preserved historic center in Latin America, and was the first World Cultural Heritage Site declared by UNESCO in 1978. One of Quito’s main squares, the Plaza San Francisco, is located about 25 kilometers (16 miles) south of the equator. A monument and a museum known as La Mitad del Mundo marks the general location of the equatorial line. The Venue: Casa de la Cultura Ecuatoriana “Benjamín Carrión” (CCE) was the official venue of Habitat III Conference and is considered by many as the most important cultural center of the country. It is located next to Parque del Ejido, in the city center, and is surrounded by several hotels, services, libraries, public spaces, and the main public transport network of Quito. Casa de la Cultura occupies more than 50,000 square meters, which enabled consolidated infrastructure for hosting the meetings and events of the Habitat III Conference. As part of the venue, Parque del Arbolito also hosted some services and activities during the conference in an area spanning over 25,000 square meters.